Whether it’s through government shutdowns or cyber threats, the possibility of government having to unexpectedly operate at reduced capacity is greater than ever. While it appears that the recent partial shutdown had minimal impact on security readiness, we should count ourselves lucky instead of expecting such an outcome to be the norm. With the resumption of full government operations, all agencies, not just those affected, should take stock and partner with industry to shore up their posture in two areas, risk management and AI. Government agency risk management strategies have traditionally emphasized the threat landscape and vulnerability of attack surfaces. Expect agencies to take a hard look at their risk posture to determine whether they’ve adequately factored in the impact of government shutdowns. This is an area where industry can play a role – helping agencies adjust their security readiness in an environment where reduced operations may become more of a norm. Work with your government customer or prospect to ensure that proper backup and recovery capabilities are in place, that their systems and networks have the right kind of resiliency and segmentation solutions in place, and that the security personnel are equipped with the right tools to “put out fires” when workforce and capacity levels are compromised. Blockchain has been around for some time, but the United States Government has not yet incorporated it into their portfolio, meaning there is huge opportunity to be had in this emerging market. Originally, blockchain was created as a supporting infrastructure for digital currencies such as bitcoin. Imagine a dataset that is disseminated and duplicated multiple times across a network. Then imagine that the network, which supports the dissemination of this data, is designed to regularly update the data across all devices. Like the internet, blockchain technology stores identical blocks of data across the network. However, blockchain technology allows for decentralized data. This means that blockchain is immune to single points of failure and cannot be controlled by any single entity, which makes it very attractive to a government customer concerned about the increase in malicious network disruptions. Most of us are still reeling from the turmoil brought on by the WannaCry malware last weekend. While most of you reading were not directly affected, the global scale of the ransomware attack cannot be ignored. Even though our federal, state and local governments were spared the brunt of the attacks, they are, by no means, immune to the dangers posed by ransomware. Some sectors of government are more vulnerable than others and so the IT industry, particularly those companies specializing in anti-ransomware solutions, should be aware of these distinctions. Recently I attended an AFCEA luncheon with Lt. Gen. Ronnie Hawkins, Director of DISA, and several other top leaders in DISA. This event kicked off DISA’s new reorganization. The agency realigned because of complaints they were too slow and cost too much in the areas of “5 Cs”: cyber security, cloud, collaboration, and command and control. The discussion centered on the changes and how it will impact industry. 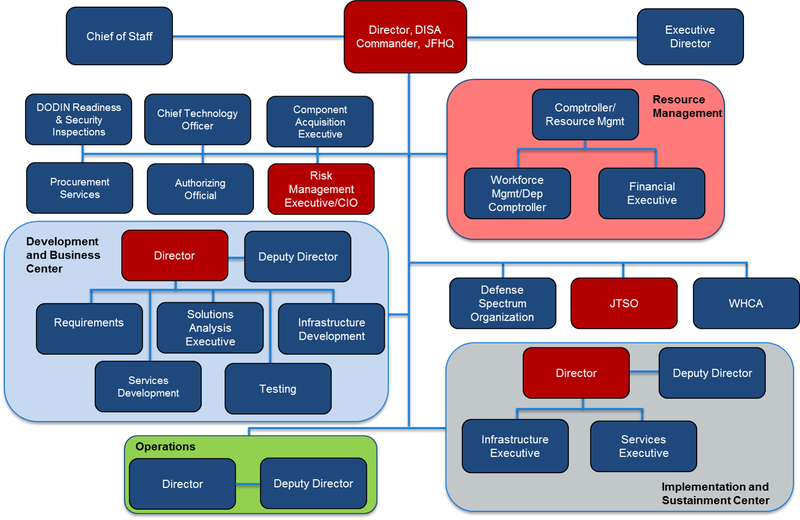 Hawkins guessed by the year’s end, DISA will have ironed out all the kinks commonly associated with reorganizations.